MySQL to MSSQL Database Converter converts database records of MySQL into MSSQL. Database Migration Tool provides support to all null value constraints, key constraints, data types and convert views, indexes with all necessary attributes, tables (including rows and columns) etc. All the records can be maintained in their original structure resulting into the lossless database records conversion. Software is also having Classic mode to convert 4.1 or earlier version of MySQL server. Enter all the required fields to establish connection between MySQL and MSSQL server, then click Connect button. Database conversion software is developed for all the database administrators and database programmers so as to convert the database of MySQL format into MSSQL format. All the records can be maintained in their original structure resulting into the lossless database conversion. 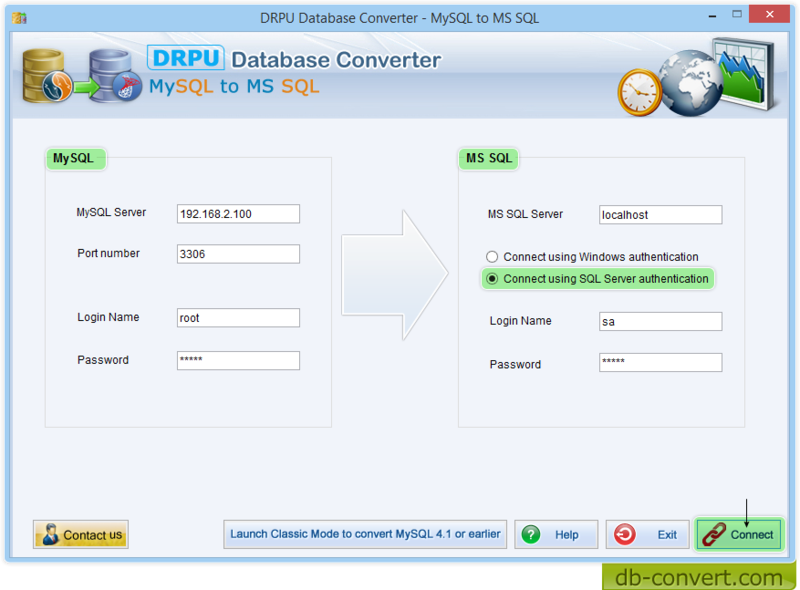 Database conversion utility allows its users to overwrite the contents of existing MySQL database records with the converted database records or save the converted database records on the disk at specified location for future usage. Database Conversion tool converts the database records of MySQL into MSSQL with full accuracy. Support full functionality and structure of the existing database. Support all versions of MSSQL and MySQL database. Facility to save the converted database records at specified location. 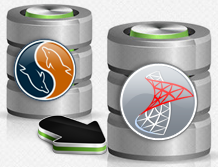 Overwrite existing MySQL database records with the MSSQL database records. Saves time by automatically converting the single or multiple database records from MySQL database format to MSSQL database format. Facilitate conversion of either whole database or selected database table records.